First, go to Setup view, so you have access quick search box. In quick search, type Apps, and then click on Apps on the menu. 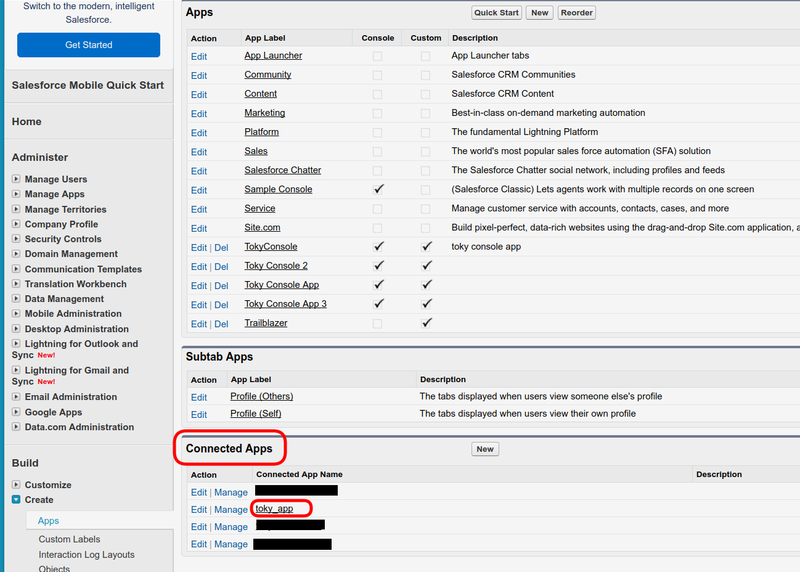 On the Apps page, scroll down to the Connected Apps section and click on "toky_app"
On the Toky connected app page, you should see the consumer key and secret required for Toky integration.